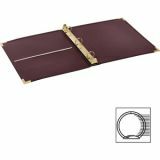 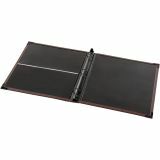 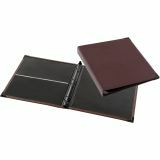 Cardinal Business Collection 1 1/2" 3-Ring Binder - Easily organize presentations in this professional binder with brass-plated ring metal and corners and an inside front pocket. 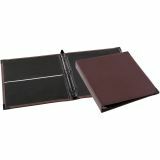 The heavy-duty, semi-flexible cover is made of soft, supple, expanded, leather-grain vinyl with sewn turned-edge construction and concealed rivets. 1-1/2 capacity holds 350 sheets. 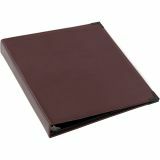 Binder has a full index allowance in cover width and holds letter-size sheets."